After the countless teases, Ford has finally released solid performance numbers for its all-new Ford GT supercar. And yes, it’s faster than a McLaren 675LT and a Ferrari 458 Speciale. 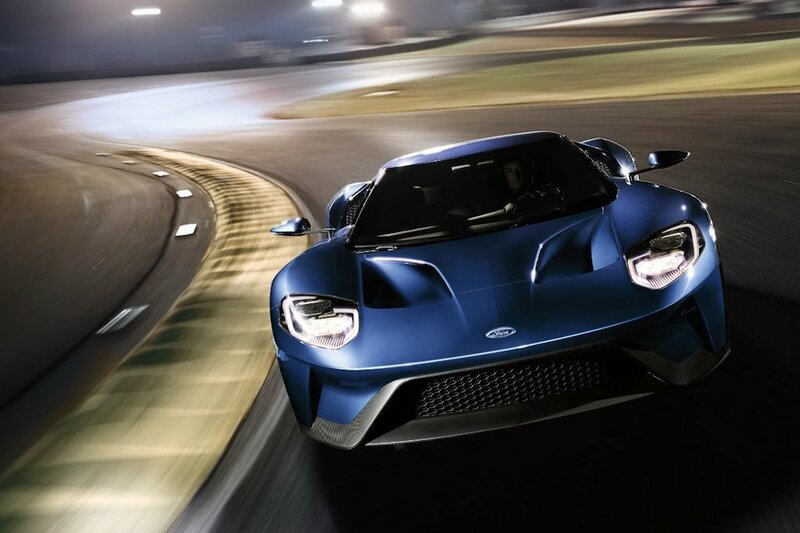 Delivering the highest output of any EcoBoost production engine to date, Ford Performance has revealed that the all-new Ford GT can achieve a maximum speed of 216 MPH (348 km/h) making it the fastest Ford production vehicle ever. Apart from its top speed, the all-new supercar features track honed aerodynamics and performance to honor its racing heritage. With the same driver behind the wheel and in identical conditions, the Ford GT bested both the McLaren 675LT and Ferrari 458 Speciale at the Calabogie Motorsports Park in Canada. The 3.5-liter twin turbo V6 engine in the Ford GT produces 647 horsepower and 746 Nm (550 lb-ft) of torque. This makes the EcoBoost engine in the Ford GT the most powerful EcoBoost production engine ever. What’s more, 90 percent of its peak torque is produced from as low as 3,500 rpm. Also contributing to its speed, the Ford GT’s dry weight tops at just 3,000 pounds (1,361 kilograms) sandwiching the McLaren 675LT and Ferrari 458 Speciale. The Ford has a power-to-weight ratio of 4.72 pounds per horsepower (2.14 kilograms per horsepower). The Ford GT also features active dynamics systems, for both suspension and aerodynamics. This mekas the car perform with optimum downforce, drag and balance at any speed, creating a faster setup regardless of driver skill level.